Home Entertainment India’s Most Expensive Film ‘Bahubali’ Is Our Answer To Hollywood! The magnum opus ‘Bahubali’ (The one with two arms) is an upcoming two part Indian Telugu epic drama that is directed by Director S. S. Rajamouli The film will be simultaneously dubbed into English, Tamil, French, Hindi, and Malayalam and in several foreign languages. Post reading this you might agree that, ‘Bahubali’ is a phenomenon that is all set to happen soon. It is said to be a fictional story about wars between kingdoms, that centres around a protagonist with immense muscle power and strong arms. Hence, the name ‘Bahubali’. Here are a few features on what makes ‘Bahubali’ special for the desi-audience? 1. ‘Bahubali’ is the Most Expensive Indian Film Ever-made. The budget of ‘Bahubali’ is said to be of a whopping 195crores and is touted to be the most expensive film ever made in India. 2. The final output of the Film was more than 5 Hours long. Though at first, ‘Bahubali’ was mimed to be released as a single part, the final output exceeded the massive length of 5hours. Because of which the makers of the movie decided to release the movie as sequels. 3. The Pre-production and shooting of this movie happened for 2 years. Yes, you read it right. 2 whole years, from July 3, 2013 to April 7, 2015. Making of ‘Bahubali’- The One-year journey. 4. ‘Bahubali’ was shot in many exotic locations all over India. ‘Bahubali’ was shot in various locations such as Rock gardens in Kurnool, Athirappilly falls in Thrissur, Mahabaleshwar and Ramoji Film City in Hyderabad. 5. Director SS Rajamouli was specific that the special effects should be similar to that of Hollywood’s ‘Avatar’. The crew of Director SS Rajamouli’s ‘Bahubali’ is striving hard along with Vfx supervisor Srinivas Mohan to re-create the effect of ‘Avatar’ in India for one-quarter of the whole cost. 6. More than 90% of the film is based on Visual Effects. Almost 90% of the whole film strives on visual effects and on it’s massive length as well. The vfx coordinators have strived hard to re-create a three-mile high waterfall and even epic battle scenes with hundreds of thousands of elephants, chariots, horses and giant catapults. 7. Numerous number of Cities, Airports, Palaces, Forts, Jails, Gardens has been recreated as sets for ‘Bahubali’. Literally a huge set of a city has been erected on the outskirts of Hyderabad in Ramoji Film City for the shooting of ‘Bahubali’. Innumerable numbers of forts, palaces, jails, airports, gardens are also re-created in the studio. 8. ‘Bahubali’ is awaited world-wide. The epic adventure will release in July on at least 4000 screens all over the world of which 200 of them are in USA. 9. More than 90% of the movie is shot in live-in action in Ramoji Film City, Bulgaria and other parts of India. 10. 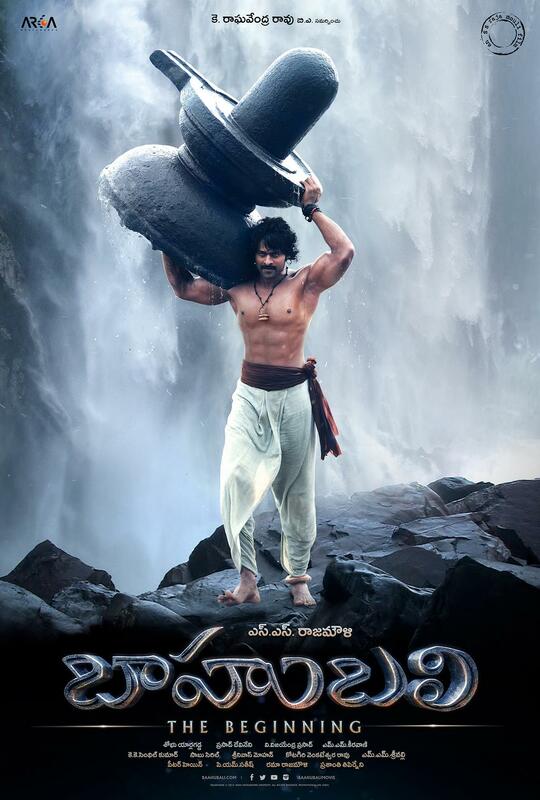 ‘Bahubali’ will redefine the meaning of Indian magnum opus to the world !! It is touted to do for India what ‘Crouching tiger Hidden Dragon’ did for China i.e. showcase the rich Indian culture and folklore to the world like never before, states the handsome hunk Rana Daggubati. To sum it up, ‘Bahubali’ is a given block-buster. The first sequel is to release on July 10, 2015 whilst the next is yet to be slated down on a date yet. Let’s wait and watch! What do you think, guys? Let us know in comments. Previous articleSalman Khan & Sonakshi Sinha Are Killing It On Dubsmash Like A Boss. More Than 500 Workers Are Busy Working On The Sets of Baahubali 2 And It’s Getting Harder To Wait.